Mercedes-Maybach S 600 — a car for the oligarchs. New Car models, photos of new cars. Revived by the Germans, like the phoenix from the ashes, but not as a brand, as well as one sverhprestizhnaya model. 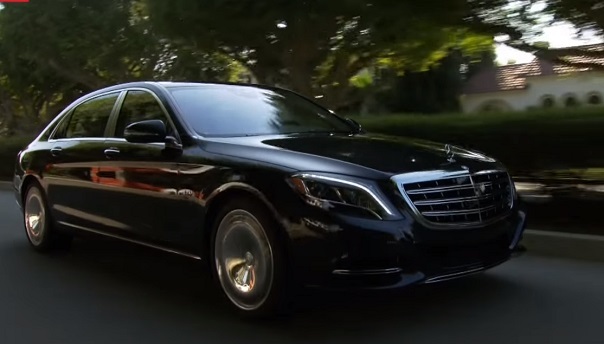 Incredibly luxurious, impressive and powerful German sedan — Mercedes-Maybach S600 2016. Luxury — as a lifestyle. This is the slogan of the most impressed by the brand new Mercedes Maybach S600. The model was built on the basis of the usual S 600, while receiving an additional 200 mm length. Outside the car has received a number of individual strokes: front was slightly modified diffuser and LED-added cilia in the air intake holes. On the side, the sedan received a massive and monolithic 20-inch forged wheels and Maybach emblem. Special attention should be paid to the «truncated», as compared with the conventional S 600, the shape of the rear doors. Interior flagship model resembles a salon business class on the plane Lufthansa 747-8- all at the highest level. Here it is used the most expensive and highest quality materials. This is the real and most perfect business office on wheels. There is absolutely everything. The driving position has been fully inherited from Mercedes. But for the rear passengers a lot of that special were provided: refrigerator, rear folding tables, audio system Burmester 24 speaker, 1540-watt and 2 silver goblet. The rear seats, like thrones made of quilted leather, and soft headrests — Alcantara. «Filling» seats include a massage function, ventilation and heating, as they integrated mechanism to lower the backrest to the angle of 43.5 degrees. For each of the rear passengers provides personalized climate control, 12.3-inch display with a huge list of functionality and control panel that allows you to customize all the comfort and entertainment systems. Among this «world» of modern technology was a place and some jewelry strokes, and an analog clock. Mercedes-Maybach S600 was perfect soundproofing and a nomination «the quietest car in the world.» Here, every noise, vibration, and the rustle of seeking to silence. The machine is so well insulated that light sleep or meditation may seem an easy task. Still, the company decided to add in the rearview mirror the microphone to the driver clearly heard the desire of rear passengers. Excellent tuned suspension guarantees a smooth and comfortable travel to its passengers on all road surfaces. Another nice bonus will cost model, which has been reduced by half compared to the Maybach 62. 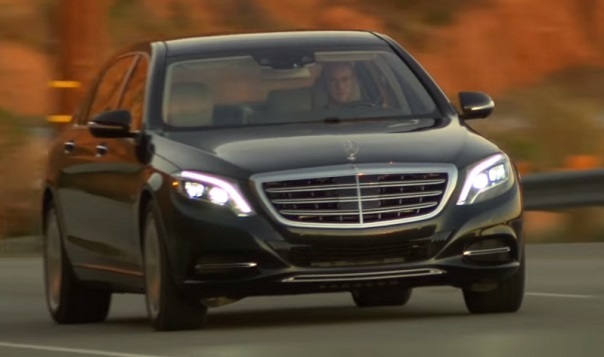 The cost of Mercedes-Maybach S600 starts from 11 000 000 rubles. For the money you get a standard power in excess of luxury and comfort.